It's time to start getting what you pay for. Your Castle In The Cloud Awaits. 30 Day Free Trial. No Credit Card Required. You can make account changes at any time – no hassle and no questions asked. Non-USD currency monthly rates fluctuate with the exchange market and includes a 2% foreign currency exchange fee. For grooming, boarding, daycare, training, therapy, and more! Pawfinity is the only pet-specific software to offer true 2-way SMS (text message) communication. Below you'll find our pricing tiers, which switch automatically based on the current month's sending volume. There are no packages to purchase and no settings to configure, pay only for what you send. With Pawfinity, the more you send the less you spend! Receive 250 FREE messages each month with the Royal Package. That's a $12.50 USD value! Our flat-rate pricing tiers offer unlimited calendars, appointments, employee logins, clients, pets, runs, or photos you to support your growing business. I'm not super tech savvy, is it hard to learn Pawfinity? Don't worry, you're not alone! A large portion of our market (Pet Pros) aren't exceptionally tech savvy, choosing to spend the majority of their time focusing on improving their trade skills rather than studying nerdy things. That being said, our clients generally find Pawfinity is easy to learn and use. Our training videos walk you through common tasks step by step, and give you a visual tool to learn. If you still have trouble finding a feature or solving a task, your support center is only two clicks away. I'm currently using clip cards. How difficult is the transition? Multiple employee profiles allow your entire staff to contribute to the data transfer process. Gather up the team, order some pizzas, and have a data entry party and you'll be done in no time! Alternatively, you can always add clients into the system one at a time, as they schedule appointments. Anyway you choose to add your clients to your new Pawfinity account, you'll find the work was well worth the time spent. Can you import my client and pet info? Absolutely. We import client and pet data from various software on a daily basis. We are able to import most well-formatted CSV files, along with some plain text files. Don't worry about the details, simply export your data from the old software and contact us and we'll have a look. Our import process is free. Please inquire for more information. Do you have an app for my phone and tablet? No app needed. Pawfinity is a highly optimized "web-app", which works much like your native phone and tablet apps, but lives online. This gives you the flexibility to access your account from nearly any device capable of connecting to the internet. With our software, our high performance servers are leveraged to handle the majority of processing, meaning it's faster and more stable that a single device alone. Since Pawfinity has a single code-source, you will have access to all features from every device without the need to sync. Anytime you make changes or input information, it is automatically uploaded to the server - meaning no lag time for syncing devices. You can even create a Pawfinity home screen icon for your phone and tablet, which makes it look and feel much like opening a native android or iOS app! Most new clients are able to book a test appointment in 10 minutes or less! Your account signup form and some Pawfinity magic combine to complete most of the setup tasks for you. Simply verify your email address, sign in, and you're off! Is there a setup or startup fee? No. There are no startup or hidden fees associated with Pawfinity. If your software company is charging you a setup / startup fee, they are taking advantage of your kind nature. Don't let them fool you however, there is no reason for a setup fee when using a web / cloud application. Do you offer support? How and when is support available? Support is available through the support channel of your account dashboard from 8am to 8pm EST (UTC-5), 7 days a week. Our detailed, step by step training videos are available 24/7 and will answer the vast majority of questions you will encounter while using Pawfinity. Active clients with emergencies can contact us via phone from 9am to 5pm EST (UTC-5). My current software is always crashing or offline. What is your uptime history? Pawfinity has a 99.999% uptime history since it's public launch. Our Industry Leading Infrastructure allows unparalleled performance and system stability not generally seen in our market. My current software is painfully slow. Is that just how cloud software works? Well, it shouldn't be. When properly configured, "cloud software" should technically be as fast as a program downloaded to your computer. Pawfinity is fast. Like, lightning fast. We've spent countless hours improving our code and the servers it runs on to ensure we are fast, even during peak usage times. This work has come together to make us the fastest pet-service software on the market (during testing with 3rd party tools). My current software has a makeshift invoice-type "POS", but I was hoping for a true Point Of Sale solution. How good is your POS? Pawfinity has a full-featured, retail Point Of Sale system which can power an entire suite of POS hardware to create a complete solution. Promotions, tips, commissions, group buy discounting, email and SMS receipts, and more! This is much more than the simple invoice "check out" style systems offered in most other pet software today. Do you offer payment processing? We sure do. Pawfinity has optional integrated payment processing, which can be setup in 5 minutes or less. Are there any extra / hidden fees with Pawfinity? There are no hidden fees with Pawfinity. SMS (text) is the only add-on service available, in which you pay only for what you use. Does it cost more for extra logins? No. You get unlimited employee profiles, logins, clients, pets, appointments, photos, and more with Pawfinity. How do you secure our data against theft or loss? Pawfinity employs security on multiple levels of our system to ensure you are operating in a safe and secure environment. Bank-grade TLS encryption, multi-tier firewalls, and application layer security measures all work together to secure our system, and therefore your data. From an account perspective, our application security program prevents unsavory individuals from guessing your passwords and individual employee logins help keep team members out of sensitive, manager-only areas of your account to prevent issues. Data loss is prevented through the use of our extensive Industry Leading Infrastructure and automated daily data backup. What kind of computer and internet connection is required to run Pawfinity? 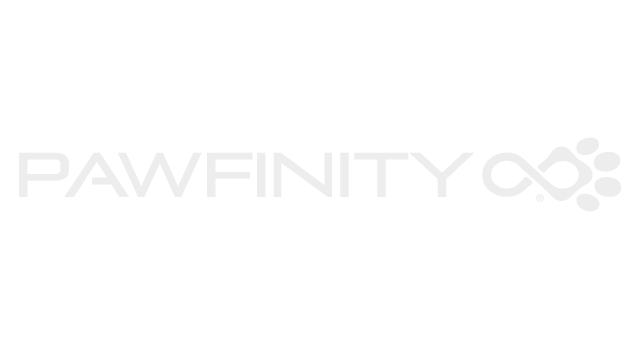 Pawfinity is light and fast, meaning it can run on nearly any modern internet connection from 3G mobile data to the gigabit fiber optics systems being rolled out by companies such as Google (fiber). As for the computer, you will need a virus-free computer capable of connecting to the internet, preferably running Google Chrome, Safari, or Firefox web browser. Mircrosoft Edge browser will also work, however it does not perform as well as the other three.